The deal is large, totalling around $9 billion. SoftBank and a consortium of other investors including Dragoneer Investment Group, Sequoia Capital, and a Chinese rival – Didi Chuxing – reportedly purchased $7.7 billion in extant Uber stock. According to the Wall Street Journal’s reporting from late December 2017, this tender offer deal valued the company at roughly $48 billion. SoftBank invested an additional $1.25 billion at a valuation of about $70 billion, according to reporting from Bloomberg Technology. An unnamed source told Bloomberg that the “blended valuation” for the ride-hailing giant sits at about $54 billion, a marked decline from its most recent private-market valuation of around $70 billion. Benchmark, the venture firm that largely drove the campaign to clean up Uber’s executive leadership in 2016, reportedly planned to sell $900 million in Uber stock – about 14.5 percent of its holdings – in the deal. 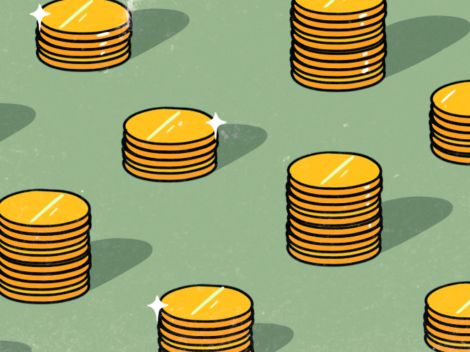 Other large institutional shareholders like First Round Capital, Lowercase Capital, Google Ventures, and Menlo Ventures are all possible participants in the sale. Including the $1.25 billion SoftBank investment closed today, Uber has raised close to $10.7 billion in equity funding from venture capital and PE investors alike, plus an additional $2.75 billion in known debt financing, according to Crunchbase data. The deal between Uber and its investors brings some notable changes. With the purchase of 15 percent of the company in the tender offer, and the additional $1.25 billion worth of new stock it just acquired, SoftBank becomes Uber’s largest shareholder. According to Bloomberg, the terms of the deal expand Uber’s board to 17 seats. Rajeev Misra, a member of SoftBank’s board of directors, will take a board seat at Uber. SoftBank also appointed Marcelo Claure, the chairman and CEO of Sprint (which SoftBank acquired in 2013), as a director. Four other seats remain unfilled. In a candid interview with the Financial Times, Misra suggested that the company should refocus on its core markets to cut losses. He added that the company had to “restock human capital” considering that much of Uber’s senior leadership—including its rambunctious and polarizing co-founder, Travis Kalanick—departed after being caught up in internal political strife, sexual assault allegations, and other scandals over the past year or so. Although Kalanick had previously told confidants that he didn’t intend to sell his stock, the former CEO reportedly sold off 29 percent of his stake to the SoftBank-led consortium for a total of $1.4 billion in cash. This roughly $9 billion deal is a kind of landmark, and not just due to its size. It signals a turning point for the expansive if somewhat beleaguered company as its new CEO, Dara Khosrowshahi, moves the organization away from its rough-and-tumble and legally dubious past. There’s no change to Khosrowshahi’s target of 2019 for an initial public offering.